From Our Hearts: We love Someday Designs because first and foremost they are a local, family operated business. Each piece is handcrafted with care and detail, often using reclaimed wood and up-cycling pieces. 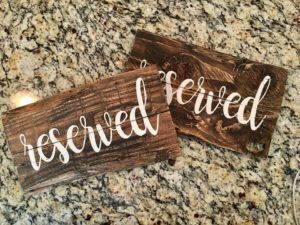 You know that you will get a custom item that fits perfectly to your vision and design with the care and quality of dealing with someone on a personal level that comes from the heart! 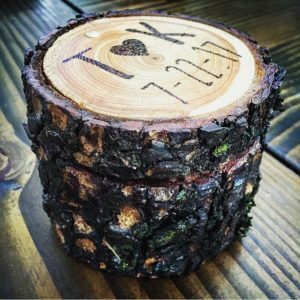 Perfect to commemorate your special day with some beautiful, custom decor pieces and even a new sign or decor for the home after your big day! How They Stand Out: We mainly use reclaimed wood or up-cycled materials on our signs. No two pieces are exactly alike, which adds to the beautiful unique nature of each product. When we are asked to create a custom piece, we pour a whole lotta love into it. It is such an honor for us to play a part in your special day and we do not take that lightly. 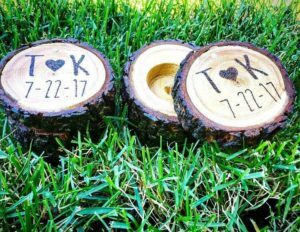 Piece of Advice: When it comes to wedding decor, consider items that do double duty. 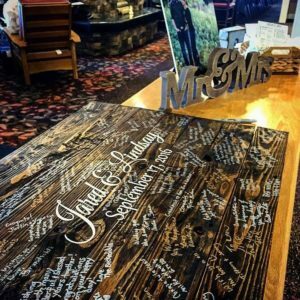 Custom signs add a personalized touch to your wedding theme and also make great art for you home. Chalkboards are perfect decor pieces since you can change them up over and over again. Generic signs are a dime a dozen. Find one that is special to you and you’ll keep it around long into your marriage. From Their Hearts: If gorgeous outdoor settings with a variety of options isn’t your thing, then I definitely wouldn’t choose the Water Oasis. 🙂 Beautiful, well-maintained property owned by beautiful people. We love it out there. What a Deal! : Book with the Water Oasis and receive a 10% discount on your purchase total!